150 Commercial Properties in Sa are listed in 8 categories. We have 45 Retail Shops for Sale , 35 Industrial Warehouses for Sale , 34 Offices for Sale , 20 Development Lands for Sale , 9 Hotels and Leisure for Sale and 5 Medical and Consulting Properties for Sale . Great lifestyle motel situated in Morgan, a small country town on the banks of the River Murray, attracting 1000's of visitors a year. Morgan is approximately 2 hours north of Adelaide. The Colonial Motel is ideally located attracting visitors from the North and East of the state, travelling through to their holiday destinations. An outstanding opportunity to purchase this Freehold, Going Concern property which is showing good returns. bull; 7 recently renovated rooms bull; 1 Executive room bull; 2 Queen Share rooms bull; 4 Standard rooms bull; BBQ Area bull; Truck and bus parking bull; New and inviting Reception area bull; 19.5kW solar system bull; 70% occupancy bull; 3 bedroom residence with spacious lounge, kitchen, dining, outdoor entertaining area and under cover parking and workshop bull; This property has it all with absolutely no money to spend The reviews for the current owners say it all with many customers making return visits. Property inspections are by appointment only. For 30 years, this butcher shop has been servicing the local surrounding communities with high quality products and great customer service. It takes pride in being the first choice for generations of locals and is known for producing quality small goods which have been nationally awarded. FEATURES INCLUDE: INTERIOR Open plan layout, shop frontage, rear workshop area, cools rooms and storage. LAND 1000m2 approx. with ample parking space and real lane access. FACILITIES Mains power, mains water. 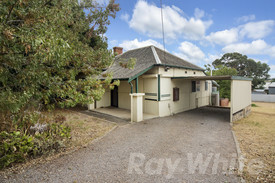 LOCATION Located in the heart of the Riverland. Great main road frontage with ample traffic driving past. 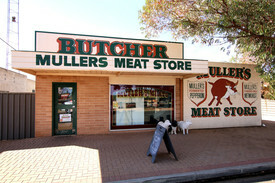 ADDITIONAL FEATURES: Only butcher situated on a prime location on a busy, trendy shopping strip. Long established business with identified opportunities to grow. Well known for its quality meat and customer service. Stable, loyal customers & consistent earnings. Well equipped with a walk in fridge, freezer & equipment. Owner happy to stay to assist with transition and beyond. A detailed Business Profile is available. Contact Kyle Hand on 0439 685 369 to find out further details about this once in a lifetime opportunity. Liquid Hair And Beauty Business For Sale - Conta.. Established reputable business Secure staff with salon share Opportunity to expand offered services Strong relationships with product reps Secure lease in central business district Current business owner to support transition Contact Marika Hart for further details on this business opportunity. 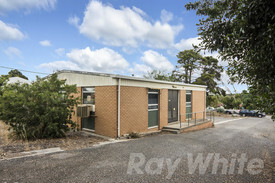 The property is located in the north western residential area of Mount Gambier on a prominent corner site. The land area is approximately 835m2. Improvements comprise of a brick building of 112m2, incorporating a well maintained meeting hall with separate male and female facilities. The property has been designed, developed and approved as a place of public worship room. 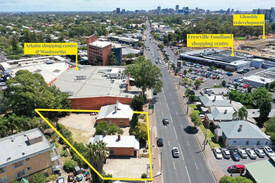 This property would suit conversion to residential use with potential to subdivide and develop. Plans for a proposed strata subdivision have been drawn and are available upon request. Additional features include: secure yard (with access via Marara Street and Cedar Street) incorporating 10 carparks, a double carport and security system. 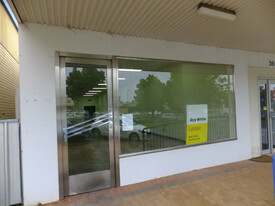 This dual premise is ideally located in the heart of the Loxton CBD and has passing traffic 7 days a week. It is a prominent and dominating locale. Both Shops are on one title with one tenant enjoying approximately 105sq mtrs and the other office space is approximately 170sq mtrs. The tenant to shop 39 is on a fixed lease until 2020. Rear undercover parking has spaces for 5 cars plus additional open car parks at the back for staff or clients. This commercial premise also has a large lockable storage shed. This premise is solid, quiet inside and is established proudly in East Terrace. It is certainly a worthwhile investment and well worth taking the time to look over it.